***** Although I am a fan of British crime fiction, I have never ventured into the world of Agatha Christie so I was looking forward to being in the audience for the opening night of Sheffield University Theatre Company’s latest production. 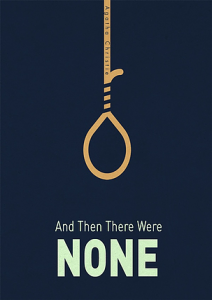 And Them There Were None tells the story of ten strangers, apparently with little in common, who are lured to an island mansion off the coast of Devon by the mysterious U.N.Owen. Over dinner, a record begins to play, and the voice of an unseen host accuses each person of hiding a guilty secret. That night one of the strangers gets murdered. One down and nine to go! A nursery rhyme tells how each of the ten “soldiers” met his death until there were none. The tension will escalate as the survivors realise the killer is not only among them but is preparing to strike again and again. Played against one of the best sets I have seen on the venue’s stage, bringing the island mansion to life, directors Rachel Brew and Iz Potter brought the very best out of the script and entire cast, who wonderfully brought to life their individual characters quirks and personalities and their connections with the strangers around them, whilst also wonderfully capturing the era and bizarre situation they have found their selves in and performing characters well beyond their years and experience. Whilst the cast included many of our annual award winners including George Evans, James Huxtable and Matthew Bevan whose performances proved they were rightful winners and continuing to go from strength to even greater strength, the rest of the cast stepped up to their level with not a weak performance amongst them. These included Saskia Dowley’s “wizard” performance as Marston; India Willes whose performance as Ms Emily Brent showed she would not be out of place playing Agatha Christie’s most well known creation Mrs Maple in any production; Kieran Jenkins whose portray of butler Mr Thomas Rogers would not be out of place in any costume drama; and Nathan Sloane as Detective Blore whose performance reminded me of and that actor Russell Tovey would be proud of as well as pulling off a realistic South African accent. However it was Caitlin Johnstone as Vera Claythorne who provided the performance of the night with her passionate and powerful portrayal blending the formality of being a secretary with growing emotion, passion and insanity; Wilf Walsworth who perfected the cocky charm and moral depravity hiding a dark interior required for the role of Philip Lombard; and in the play’s dark and twisted conclusion that only those familiar with the play would be able to predict, George Evans providing one of the best if not the best and most memorable performance of his career to date as the powerful Sir Justice Wargrave. I truly cannot imagine a better crime drama performance on a Sheffield stage with the production quality feeling like it has been transformed straight from a televised Agatha Christie story to the stage and confirming that just when I feel that the already outstanding SUTCo cannot get any better they continue to blow me away making this a production that no fans of the crime writer should miss and making this an unmissable opportunity to see a terrific ensemble of Sheffield’s most outstanding young actors all in one place at the start of, deservedly, long and success stage acting careers. 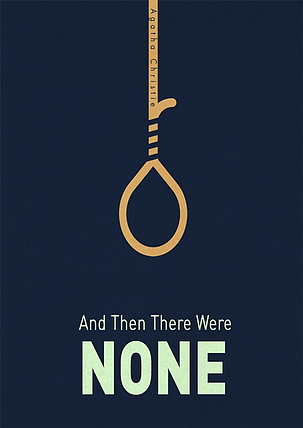 And Then There Were None will be performed at Sheffield University Drama Studio at 7.30pm until Saturday 9 March and this being the biggest audience I have seen for the opening night of a SUTCo production, I highly recommend booking tickets as quickly as possible to ensure you do not miss out. Tickets are £6 in advance and £7 on the door. To book visit www.sutco.org/tickets. The award winning SUTCo perform four shows a semester. There forthcoming shows are Gardening in Small Spaces from 20 to 23 March at a venue TBC; and Anatomy of Gray from 1 to 4 May at Sheffield University Drama Studio. For further information and to book visit www.sutco.org. Content warning: This production contains scenes of violence, on stage death, blood, alcohol abuse and references to hanging, suicide and mental health.